Scientists “John” and “Michael” are working hard to becomeinternationally recognized scholars, but they are struggling to compete withworldwide experts in their field. The researcher’s life is not easy for them. Like when it comes to publishing in peer-reviewed journals:which are most suitable and widely read? What are the ethical standards for writingrules, and where can they find them? And what about those emails they receivepromising quick publication of their work upon payment. Is this normal practice? 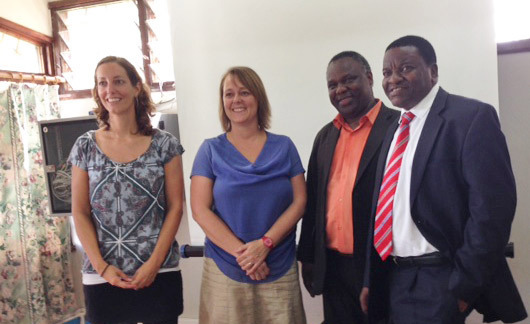 As part of the Elsevier Foundation’s Publishers Without Borders program, eight experienced employees have spent four weeks each in Tanzania providing training in their areas of expertise, which ranges from peer review to quality control, copyright, contracts, acquisitioning, commissioning, marketing, sales, design, production, digitization, online formats, platforms and open access. The goal is to support the development of indigenous academic and a digital publishing culture in Tanzania, and it’s part of the TZAP: Strengthening Tanzanian Publishing project, a collaboration between the Elsevier Foundation, VSO (Voluntary Services Overseas), INASP (International Network for the Availability of Scientific Publications) and the Tanzanian Commission for Science and Technology (COSTECH). 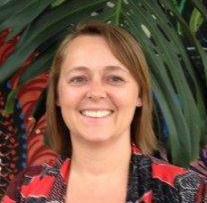 The volunteers have been working closely with Maaike Duine, Project Manager of VSO, who lives in Tanzania and works fulltime for the TZAP project. She is establishing connections at various universities and acts as an intermediary between them. She has also guided the creation of a consortium consisting of publishers and university representatives to facilitate knowledge exchange in scientific publishing and have the local partners take ownership when the project finishes at the end of 2015. So many uncertainties and not enough help and expertise tomove forward. John and Michael are pseudonyms, but their situations are real and common for researchers in Tanzania. These and other issues faced by members of the Tanzanian research community inspired Elsevier to volunteer its services to the TZAP: Strenthening Tanzanian Publishing project through a two-year volunteer program. “Publishers Without Borders,” as it has affectionately been dubbed, enables experienced colleagues to share their knowledge first-hand with Tanzanian scientists, librarians, research managers and publishers. This spring, it was my turn to travel to Tanzania. My assignment was “digital publishing.” Our Tanzanian contacts at 13 universities were asked beforehand to suggest key elements for the trainings. This inventory clearly showed that most interest and questions were focused around business models, rights management, international collaboration and ethics. So we prepared our workshops with these themes in mind. On April 1st, in my first week, a milestone was reached for the project with the first assembly of the consortium where an interim board was elected. When I met with the consortium and board, it was fantastic to see the enthusiasm in the room, especially around setting out concrete steps for Tanzania to become a nation where science and scientific publishing are embedded in the universities and research institutions throughout the country. This consortium will be the right body to lobby at the governmental level for proper and sustainable science funding and freedom of sharing results. 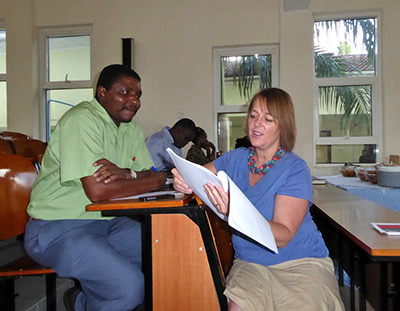 One of the project partners, INASP, is helping Tanzanian institutions embed research writing courses in their curriculum through its AuthorAID project, which also supports early career researchers with training, resources and a mentoring service. The demand is great, and the university representatives we met told us that for many researchers basic information for scientific publishing is lacking, and specific hands-on help would be much appreciated. The issues people brought up ranged from how to write good scientific publications and how to get published to “What is ethical misconduct?” and “How can Tanzanian scientific journals be improved?” These questions subsequently further shaped our presentations and helped to set out a (literal) roadmap on where to go in Tanzania. What followed was an exciting and busy time taking our presentations on Digital Publishing on a three- week tour covering most of Tanzania while visiting eight universities with representatives of 13 different Academic institutions. In total, I had the pleasure of interacting with about 240 passionate scientists attending our workshops. Needless to say it’s a great way to see a lot of Tanzania, but mind you, getting even from Dodoma to Dar es Salaam (a distance of 396 kilometers or 246 miles) can take eight hours by bus (and that is a fast and good bus). 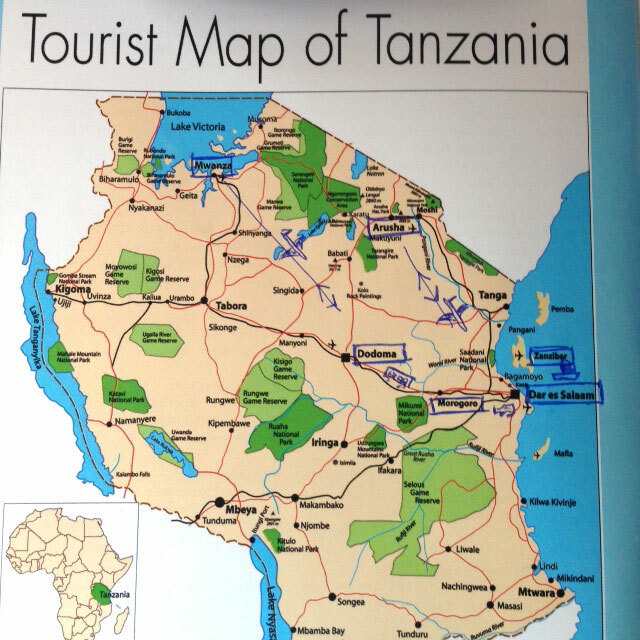 The map of Tanzania also shows our other means of transport, which included cars, taxis, boats, buses and planes. 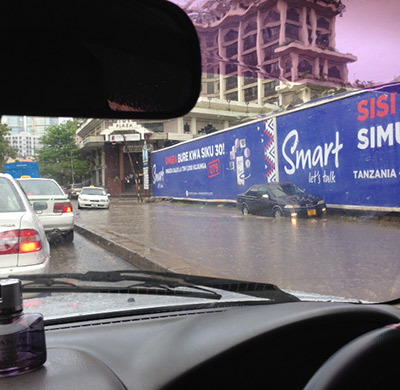 Even travelling within the city of Dar es Salaam requires careful planning, which can be totally disrupted by possible sudden rainfall turning the roads into waterways. Tanzanians are usually very patient people who do not complain when things take longer than expected. For me, this is actually part of the adventure on becoming a short-term local. On a daily basis, people made a serious effort to teach me how to speak Swahili; around 80 percent of 47 million Tanzanians speak Swahili in addition to their local languages. However, many of the next generation in Tanzania speak Swahili as a primary language (see breakout box below). Personally, I greatly enjoy learning languages as it allows you to make real connections with people, understand each other more and simply have more fun – for instance, when you know that “kofi” (pronounce as “coffee” in Swahili) means “slap” in the face, it can be quite funny to ask for real coffee. 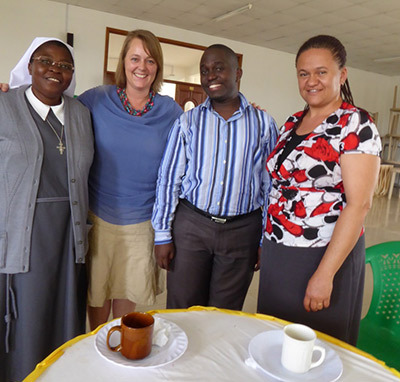 By engaging with Tanzanian scientists, unforeseen eye-openers came to the surface. I was very surprised at times by what could be done with hardly any funding available. And I was struck by their enthusiasm to learn, despite the challenges. John, who has worked for years studying malaria, has just finished his PhD after spending six months abroad, where he built up an international scientific network. He is proud of his achievements and knows that for moving his scientific career further, he needs to publish in international scientific journals. Then one day, he gets an email inviting him to submit his next paper to an online journal promising very quick turnaround and great worldwide visibility. He “only” needs to pay $50 (which is actually an enormous amount in Tanzania), which he does. To John’s big surprise, his paper appears almost instantaneously in the online journal, but apparently it was not necessary to peer review his paper? In our discussion, he questions his experience and we look at his paper together. It appears that a so-called predatory journal has “taken” his paper, which means he cannot publish it elsewhere to get known in the international scientific community. He is sad and upset. Then we find out that many others in the room (and throughout Tanzania) have received similar emails, which leads to an interesting discussion on ethics and misconduct. John’s story is exemplary of many experiences by Tanzanian scientists who are “tricked” into quick publishing. 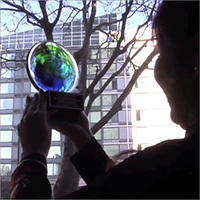 Michael is a talented young scientist and dreams of an international academic career. However, funding for research in Tanzania is very, very limited and hence doing experiments is practically impossible. He knows that writing papers will enhance his reputation, but he has to secure funds for doing research first. A local colleague has experience within an international collaboration, which provides him with funds for research and familiarity on how to write joint scientific papers. It became clear that the topic of the day should be around how to build international scientific networks as a first step towards an international science career. We illustrated how one can locate relevant international experts and we discussed how a network can be built. The situation for passionate scientists in Tanzania is rather harsh as systematic significant funding is basically absent in Tanzania. This is something to keep in mind for western scientists when applying for funding and in need of devoted scientists to work on projects: Tanzanian scientists might be happy to step in. Wherever we visited Universities in Tanzania, I was greeted by welcoming and friendly people eager to learn as much as possible. Although I realize my contributions are only small step for Tanzanian science, it was a very positive and rewarding experience. Ultimately, I may have learned more from my interactions with the Tanzanian scientists then they have learned from me, especially around how to follow your dream even if there are few opportunities for funding and career progression. I am not closing my eyes for the long journey ahead for Tanzania to develop into a science nation of international renown, but the will and enthusiasm from Tanzanian scientists to step up and to become a part of a learning community is there, which is by far the most important. It was a privilege to be part of this journey. Over 100 different languages are spoken in Tanzania, makingit the most linguistically diverse country in East Africa. Swahili and Englishare Tanzania's official languages. About 10 percent of Tanzanians speak Swahilias a first language, and up to 90 percent speak it as a second language. MostTanzanians thus speak both Swahili and a local language; many educatedTanzanians are trilingual, also speaking English. Read more on Wikipedia. Habari? Nzuri — Hello/How are you? – Good. Mambo? Poa! — How are things? – Cool! Jambo? Si Jambo. — How are you? – I am fine. Jina Lako Nani? — What is your name? Safari Mwema — Bon voyage! Literacy rate in Tanzania for persons aged 15 and over is estimated to be 68 percent. Education is compulsory until children reach age 15. In 2010,, 74 percent of children age 5 to 14 years were attending school. The primary school completion rate was 81 percent in 2012. 61 universities are recognized by the Tanzania Commission for Universities (TCU) as Institutions where university education in approved programs is offered. Dr. CharonDuermeijer (@duermeijer) isPublishing Director and Head of Elsevier Physics Journals. She has a PhD ingeophysics from UtrechtUniversity in the Netherlands.